What a fun way to celebrate winter! 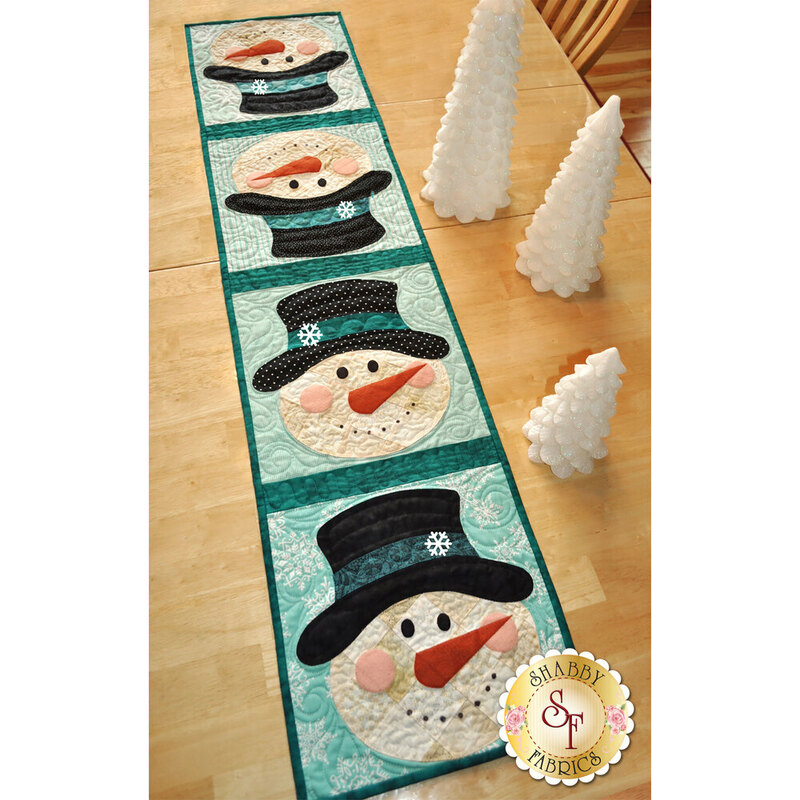 This quick and easy table runner project features easy patchwork and simple applique. Kit includes pattern, all fabrics for top, including wool felt, binding and backing. Snowflakes are also included! Finished size of 12 1/2" x 53". Designed by Jennifer Bosworth of Shabby Fabrics. Add a Micron pen for marking the mouth. Add the Olfa 45mm Rotary Cutter below for precision cutting!